A personal business letter is typewritten letter to a colleague who is personally acquainted in working place. Personal Business Letters is meant to maintain formal relationship with a professional contact made during business or official transactions. It includes address of the sender, recipient’s address, date, the greeting, body and signature of the sender with name in block letters just below it. A cover letter for your CV is also considered as a letter of this type.It’s written in formal tone in a letter head. Attached enclosures like business card, invitation card, or CV are to be mentioned below the signature in proper order. Depending upon the depth of professional relationship the greeting can be made in formal or informal way. 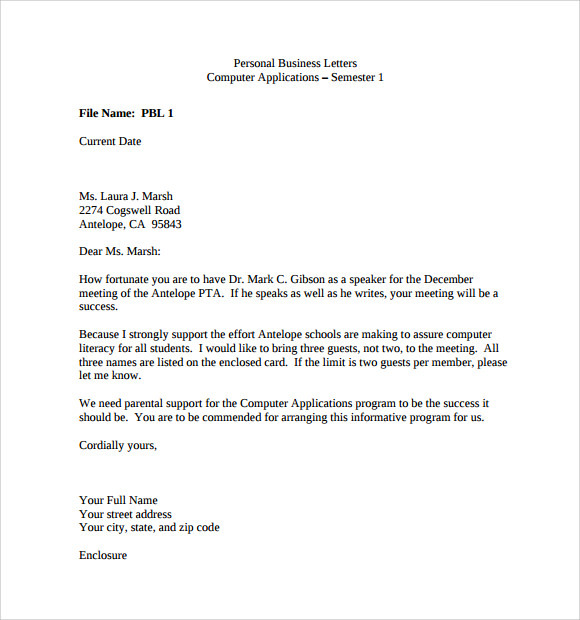 Personal business letter example template is easy to download from the internet. The template comes in PDF file format and can easily be converted into word doc file format. It has a user friendly outlook and is easy to use. Also, it can be edited if desired. Personal Business Letter Layout template gives a proper idea of how to write a personal business letter as it provides the layout of the letter. It provides an assignment of drafting the letter with the help of given instructions within. 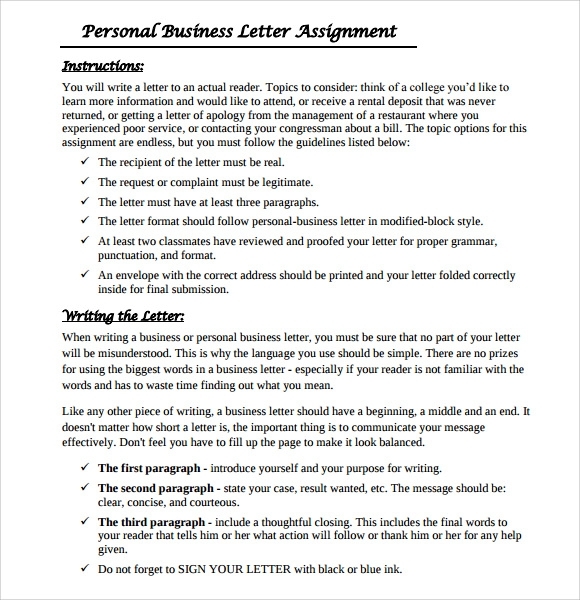 The personal business letter format example template provides you the format for writing the personal business letter. 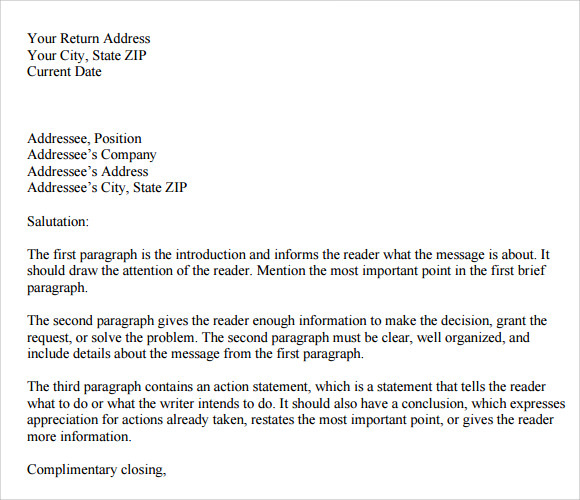 It explains the content of the letter in a detailed and clear manner. Also, it has designated places for the details of the addressee to be written. 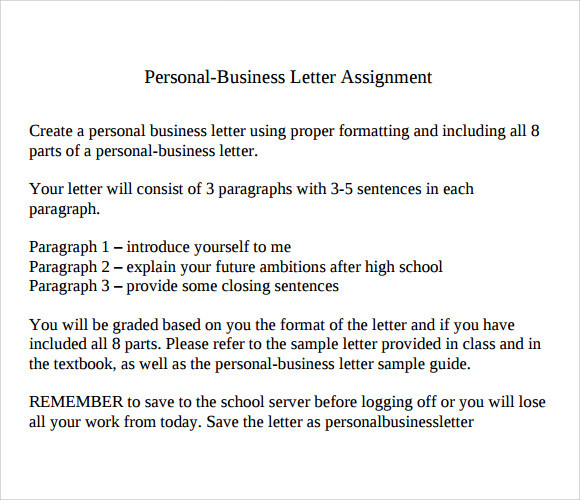 Just as the name suggests the personal business letter assignment template provides an assignment for learning how to write a personal business letter in a right way. The template gives the instructions and guidelines to be followed while writing this type of letter. 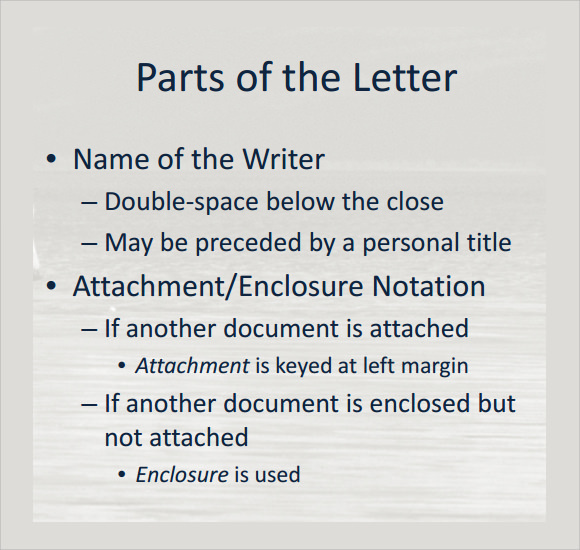 Why Does a Personal Business Letter Template Needed? The personal business letter template is needed for writing this specific type of letter in an effective way while saving the time. These templates provide you an already formatted template which helps you in drafting the letter hassle free. These templates are needed to write the letter when you need to ask anything from a professional contact in a personal but formal way. 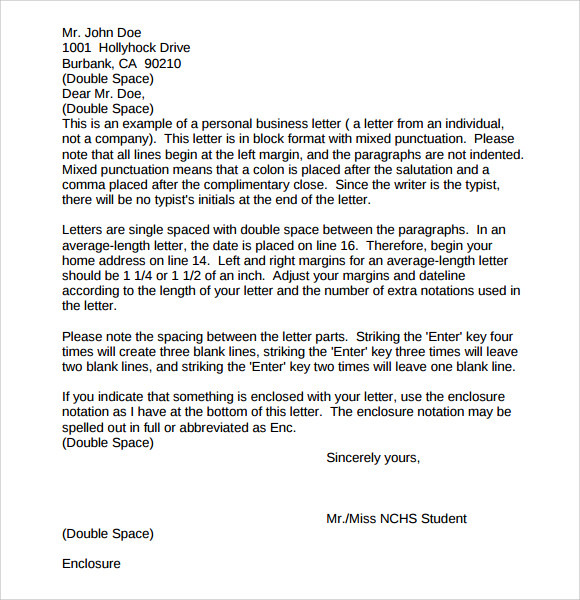 These templates are also needed for learning how to draft this type of letter properly by following the instructions and guidelines provided. They also state the detailed steps for drafting this letter to make the assignment even easier.You can also see Sample Closing Business Letters. 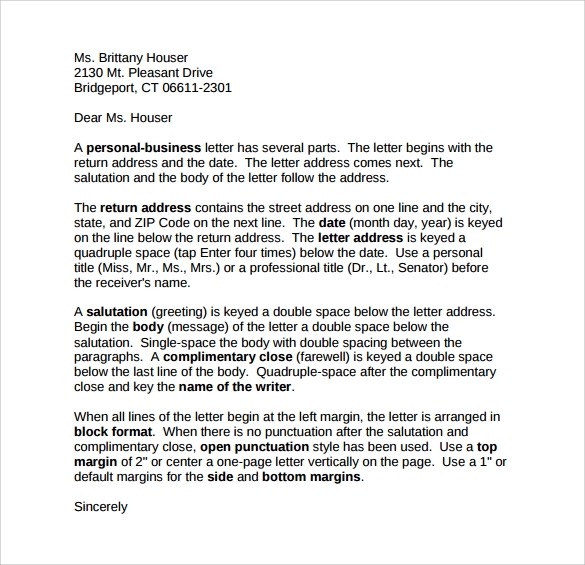 When Does a Personal Business Letter Template Needed? Personal business letter template is needed while drafting a personal business letter with ease and to send it to a professional contact in a formal way. These templates come in PDF file format and can easily be downloaded. It can be converted to word doc file format and edited if desired. Some templates help in framing the letter by providing the assistance in the form of instructions and guidelines to be followed. Personal Business Letter Formats are different from professional letters and are not informal so they need specific type of format to be written in and these templates provide you that. 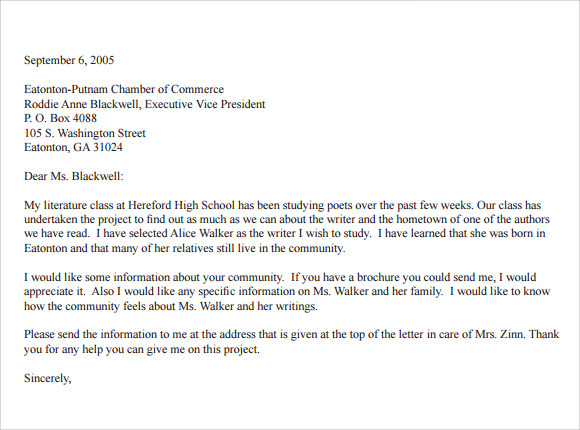 Personal business letter template saves time of the writer. It provides the readymade layout which can directly be used after editing the minute details like the name of sender and receiver. The choice of words is done carefully so as to maintain the formal format of the letter. The templates also provide the assignments in which one can draft the letter on his/her own just by following the given guidelines and instructions. The variety of templates available gives many options to choose from keeping in mind the need and purpose of writing the letter. These templates also help to convey the message in the most precise manner possible. The personal business letter templates are user friendly and can be used by anybody. They also state the instructions and provides sample with the help which one can write the letter on his/her own without much efforts. 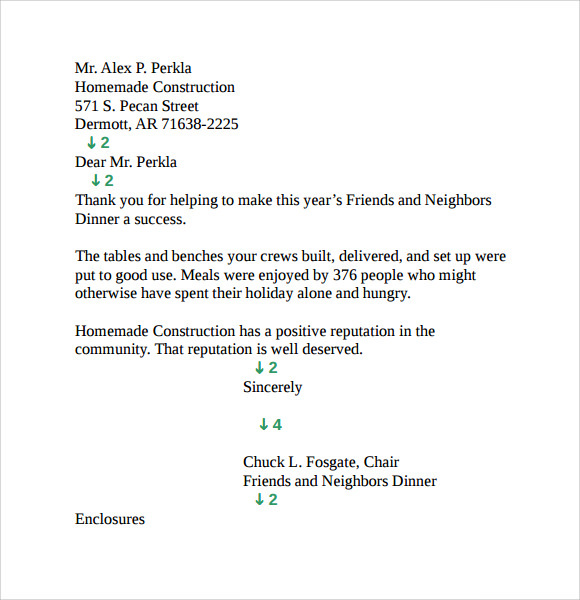 These templates are also easy to download and edit if desired.You can also see Standard Business Letters.